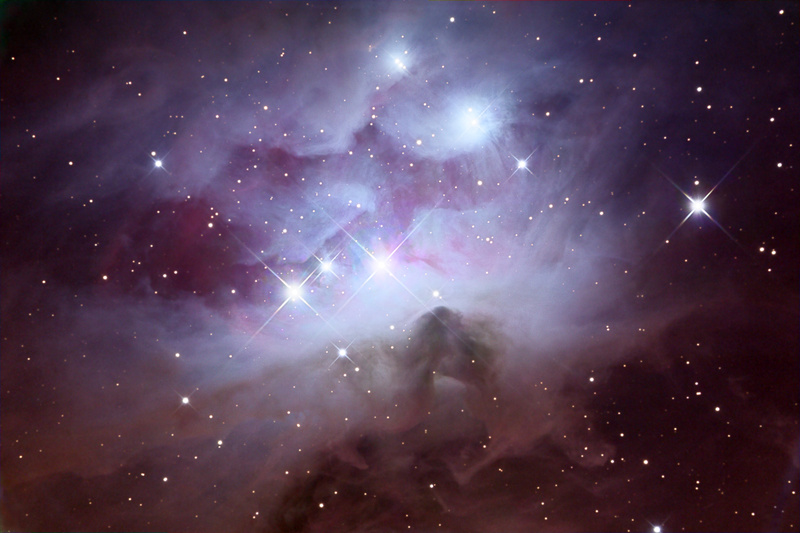 Description This appealing cosmic vista is located just north of the famous Orion nebula (M 42). Swirls of interstellar dust partly obscure the intense starbirth area in Orion's sword. Click on the image for a higher resolution version (1500 x 1000 pixels) . Camera SBIG STL-11000 selfguided with Astronomik Type II LRGB filter set.